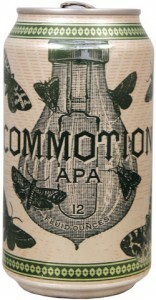 Great Raft’s Commotion APA pours with a yellow/gold coloration and a solid amount of fluffy white head. Lacing traces its way down the glass, showcasing the progression that one has on the beer. The ale’s nose is heavy with mango, pine, and caramel. Shreveport’s Great Raft Brewing has created a delightful American Pale Ale that has a decent amount of hop body, with citrus and pine elements noticed at the early pulls. As the beer continues to warm to room temperature, meltier elements begin to be noticed, adding bready and grain-heavy elements to the mix. The allure of the Commotion APA comes in this deft balance of flavors; with a deep collection of notes, imbibers will be treated to a beer that continually reinvents itself. 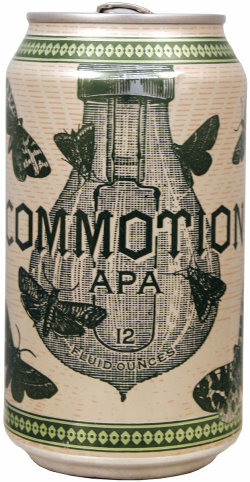 Commotion would work perfectly with fish, chicken, and lighter cheeses. The smooth-drinking, lighter body does well to slake one’s thirst without losing the considerable array of tastes. In short, Great Raft has created in Commotion a beer that is hoppy enough to appease bitter bomb fans while balanced enough to allow fans of lagers and pilensers to find something that they can appreciate. For the full information about Great Raft’s year-round and seasonal offerings, visit their domain; current news and updates can be located on the brewery’s Twitter profile. Great Raft’s Reasonably Corrupt Black Lager was covered in late July.